Shakers are essential pieces of equipment for any laboratory. They allow multiple samples to be stirred simultaneously in identical conditions, which is perfect for a number of general mixing applications. 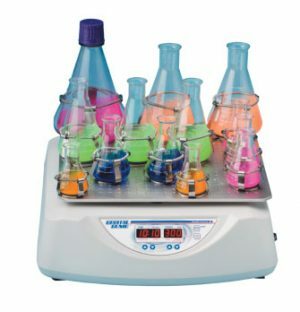 We offer a large selection of shakers from Benchmark Scientific, Scientific Industries and Biometra that are designed to stir liquid samples of various different sizes at any controlled speed. 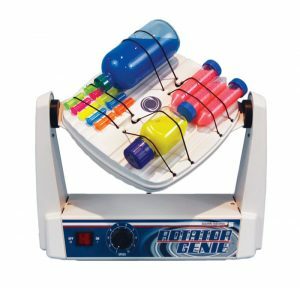 Our orbital shakers feature a rectangular platform that moves in a circular motion to aerate samples, which are held down by ratcheting clamps, magnetic clamps or a non-slip, rubber mat. 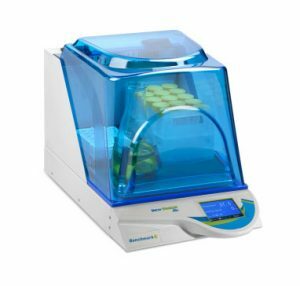 Our shaking incubators feature a rectangular platform that moves in a side-to-side motion within an enclosed chamber providing a controlled environment to agitate samples, which are held down by magnetic clamps or a non-slip, rubber mat. 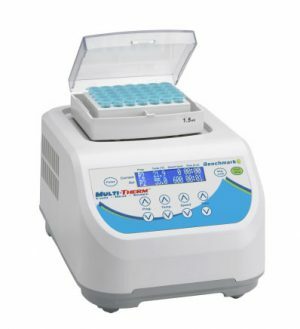 Our thermal shakers feature interchangeable block platforms that move in a circular motion while heating up the samples. Additional features for all of these units include intuitive controls with a digital display, a robust construction in a compact, space-saving design and smooth running conditions with variable speeds. Our laboratory shakers allow for safe, efficient and easy-to-use operation while reproducing accurate, controlled speeds with every use.